“Most people have only a very vague idea about Kashmiri cuisine and even those that are familiar with it only know about the Wazwan”, remarked Chef Suman Kaul. “I’m on a mission to showcase Kashmiri Pandit Cuisine”. Chef Kaul has been cooking Kashmiri Pandit food all her life. 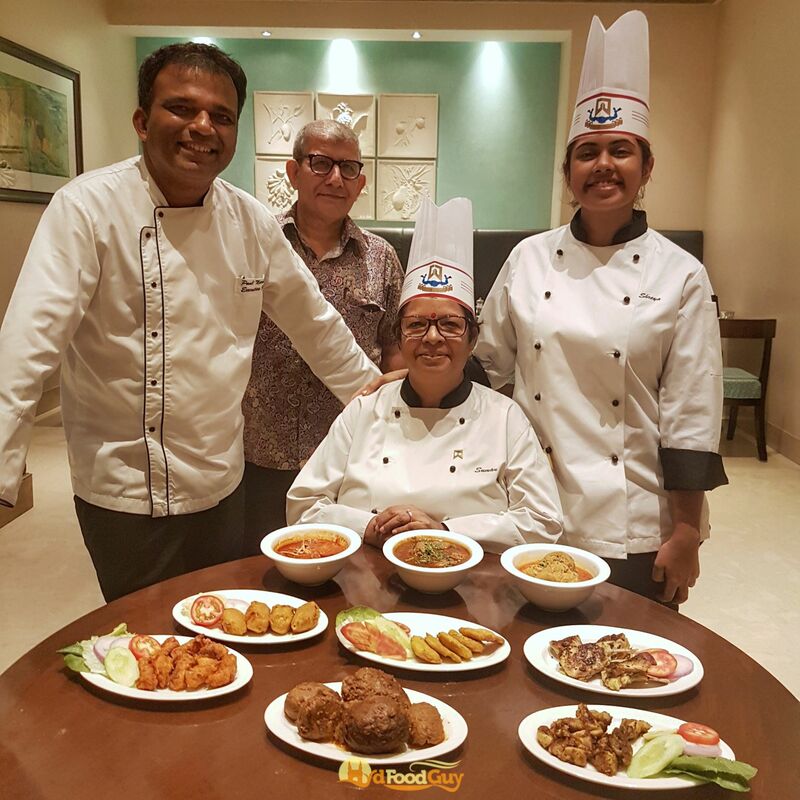 She used to submit recipes to various publications and cook at parties hosted for friends when ITC Maurya noticed her culinary prowess and invited her to host a festival. This was in 2006. She has been exclusively associated with ITC group since 2010 and has hosted innumerable Pandit Cuisine pop-ups at ITC properties across the country. Chef Kaul spent over two decades in Hyderabad, which she refers to as her second home. She’s back in the city till the 29th of July to host ‘Koshur Saal’, a Kashmiri Pandit cuisine pop-up at Deccan Pavilion. Over the ten days, she intends to exhibit over a hundred different recipes. The menu for every day is decided only a day in advance depending upon the produce that she manages to procure. While Chef Kaul has carried many key spices and condiments with her, ITC is using a combination of locally sourced ingredients and fresh produce flown in every day. I was invited to a preview dinner hosted a day before the festival opened. Chef Kaul had curated a small menu to give us an idea of what patrons can expect. Kashmiri food has traditionally been dominated by meat. Unsurprisingly both of my favourites from the tasting session were lamb preparations. Kabargah is the Pandit version of Tabak Maaz. Mutton ribs are simmered in saffron and milk for hours and then seared on a hot pan. The key difference between Tabak Maaz and Kabargah is in the duration of simmering. 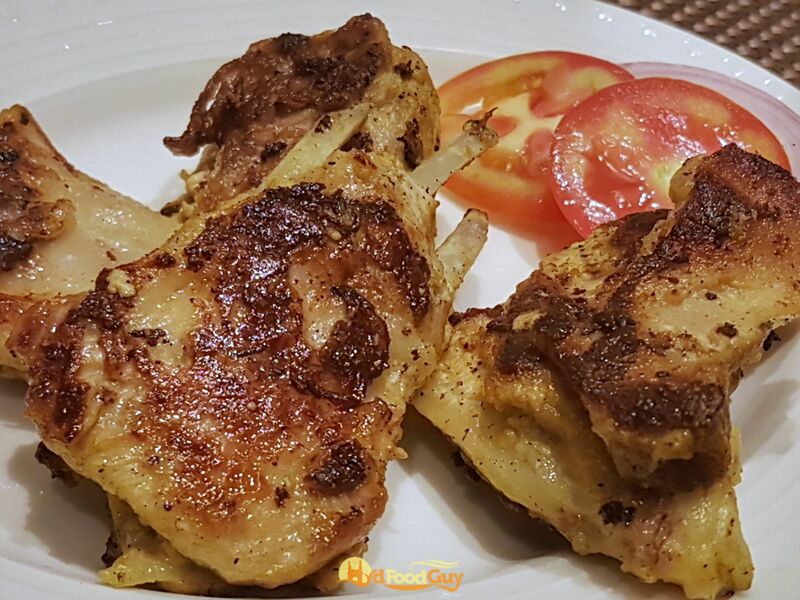 Kabargah is simmered on low heat for a longer duration and then fried very quickly. 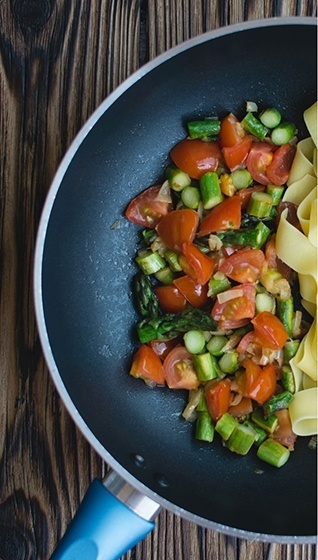 The pan frying process is just long enough to allow a slender, crisp outer layer to form while keeping the meat soft. 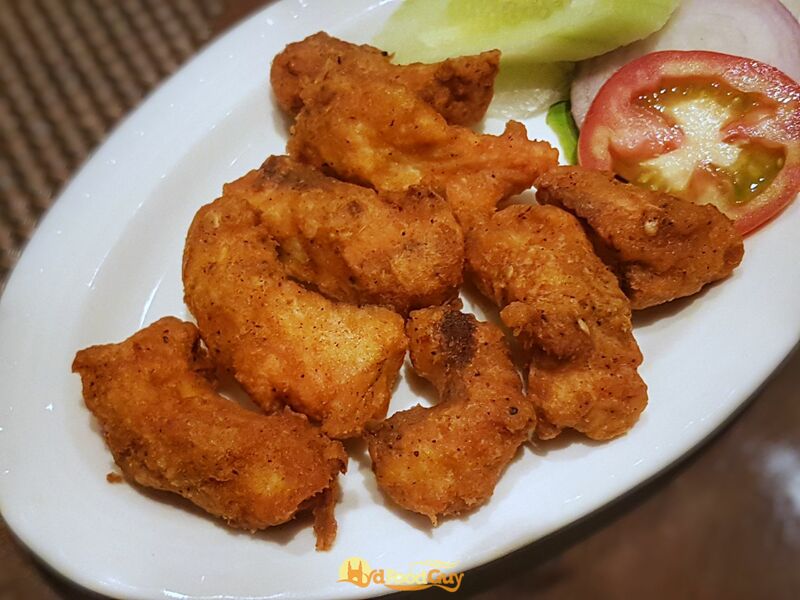 Tabak Maaz, on the other hand, is characterised by a slightly elastic texture. 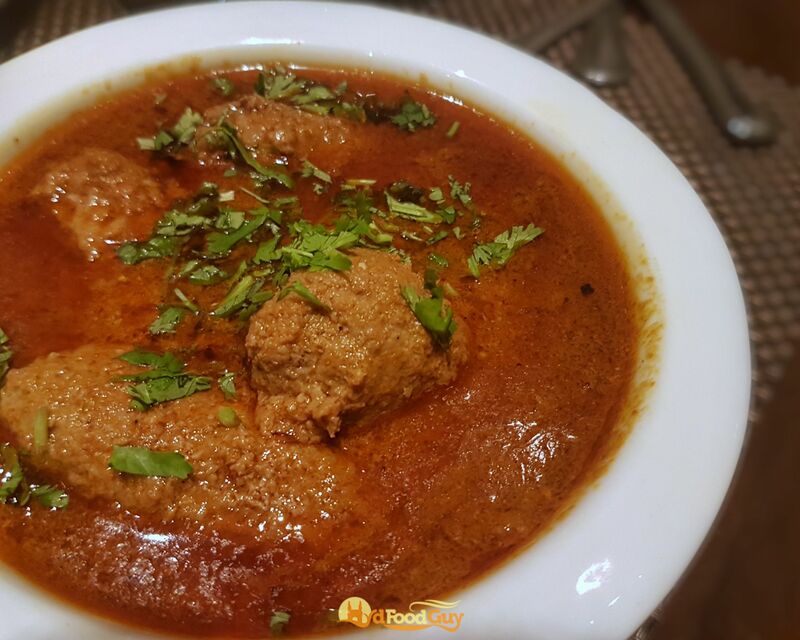 The second lamb dish arrived with the main course – a meaty minced-meat kofta served in a rich gravy that’s supremely enjoyable with steamed rice. Fish, especially Trout, is also a fairly regular feature in a Kashmiri meal. 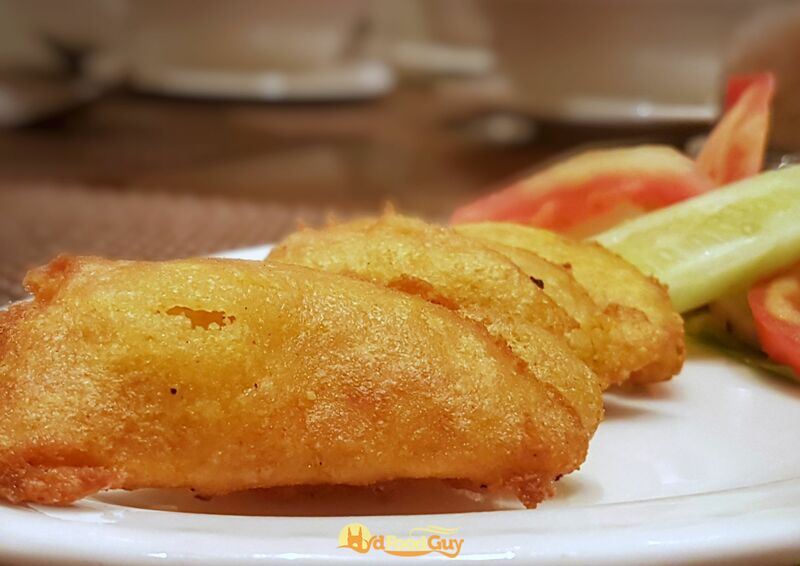 I was offered Gaader Pakorey – fish fillet dipped in a light batter that’s gently spiced with a salt and chilly dry rub. Besides the strikingly red yet mild Kashmiri Chilli, dried fennel powder, walnut, almond, and apricot are the commonly used flavouring ingredients. Chicken has begun making an appearance in Pandit meals only very recently. 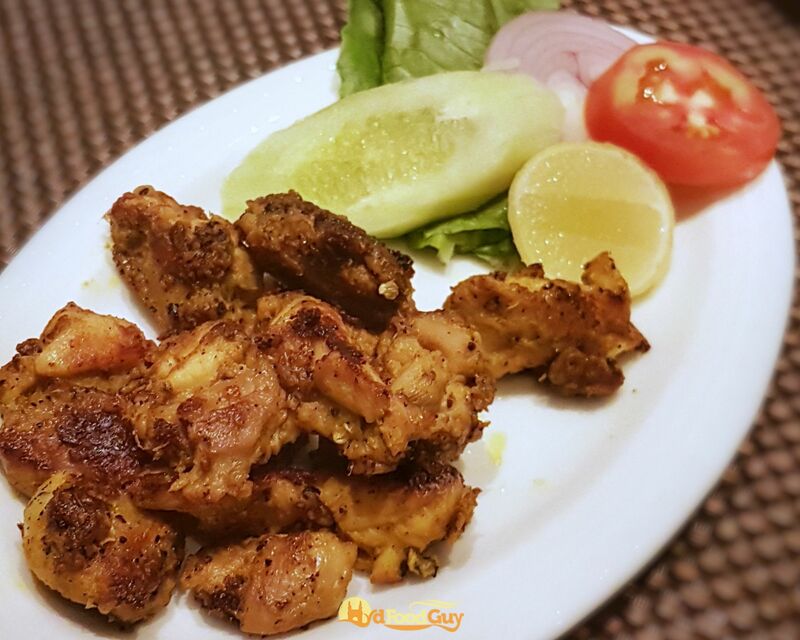 Kokur Kanti is a popular appetiser where herb marinated boneless chicken cubes are pan-fried. While the Muslim preparation uses onions and tomatoes, the Pandit version avoids onions. Onion and garlic are persona non-grata in Pandit households and are one of the major differentiators. Pandit food also eschews other signature ingredients of Wazwan like pran (shallot) and mawal (cockscomb flower). On the other hand, asafoetida is one ingredient that you’d find only in Pandit households. “Food in Muslim households has a higher spice quotient while the Pandit cuisine is more subtle and allows the meat or the key ingredient to truly shine”, explained Chef Kaul. The only dish that made an exception and included onions was the Zameduodh Kokur featuring a Yakhni-like curd gravy. While a majority of dishes in a Wazwan are non-vegetarian, Pandit meals usually feature an equal distribution of vegetarian and non-vegetarian dishes. Chef Kaul explained that she always tries to include an equal number of vegetarian options. Paneer, which is referred to as Chaman in Kashmir, is a common ingredient in Indian cuisine. However, Paneer in Kashmir stands out due to its tender texture. This was evident in both the Chaman Pakorey and Tamatar Chaman. The latter is an excellent example of what makes Chef Kaul’s dishes irresistible. The Tamatar Chaman is a humble preparation of gently fried paneer cubes cooked in a tomato gravy with ginger and fennel that shines owing to the subtle yet delicately balanced flavours. Kashmir is blessed with a wide range of produce and turnip, lotus stem, and haak are some of the most used ingredients. 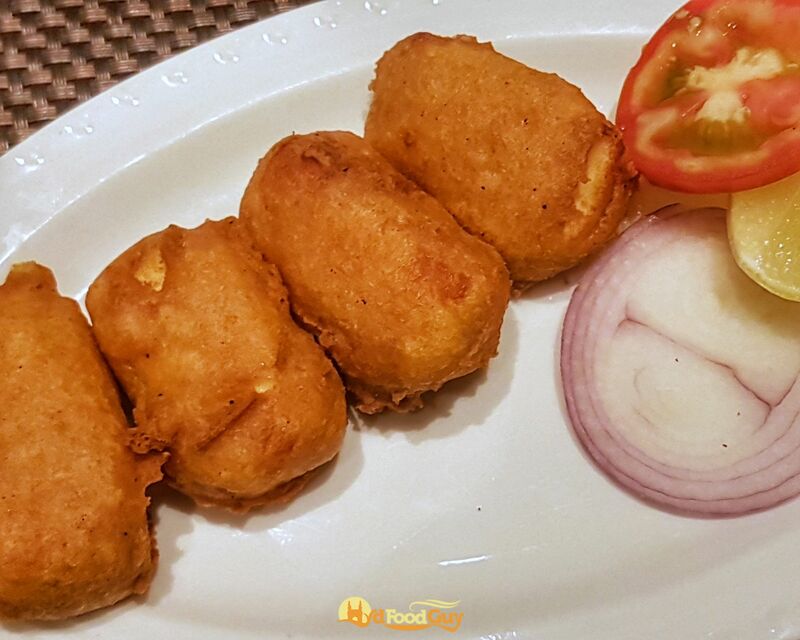 Earlier in the meal, she had surprised us with Green Apple fritters that stood out both due to the distinctive ingredients and the lip-smacking combination of sweet and sour notes. 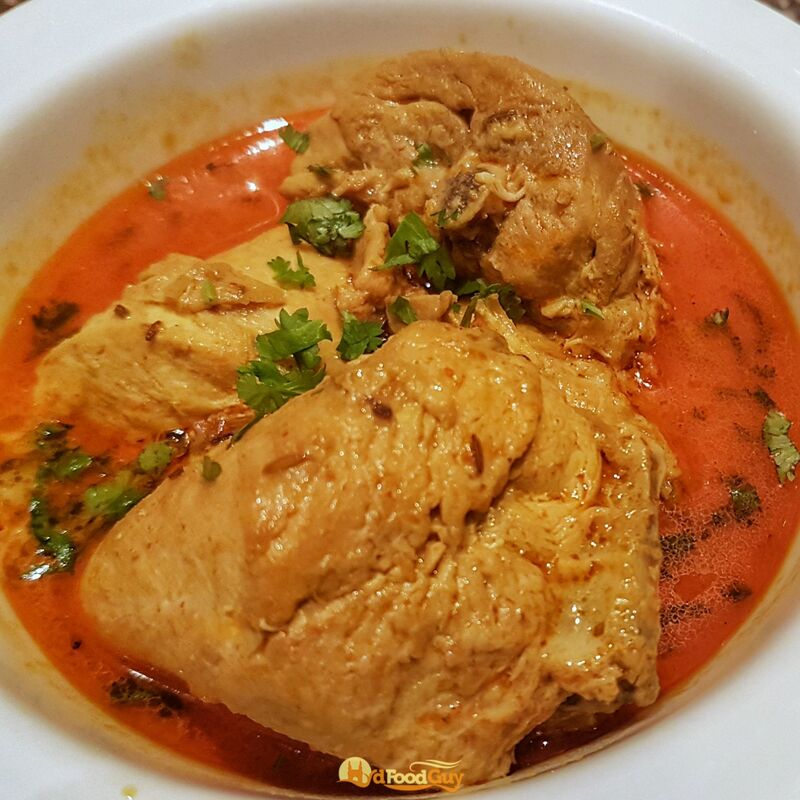 Kashmiri recipes often demand tremendous patience and devotion to execute. For example, the majestic Kashmiri Dum Aloo requires several hours of prep and cooking. The potatoes are pricked painstakingly to ensure that the masala is able to permeate. They’re simmered with a myriad of whole spices at a low heat and cooked till they’re almost falling apart. 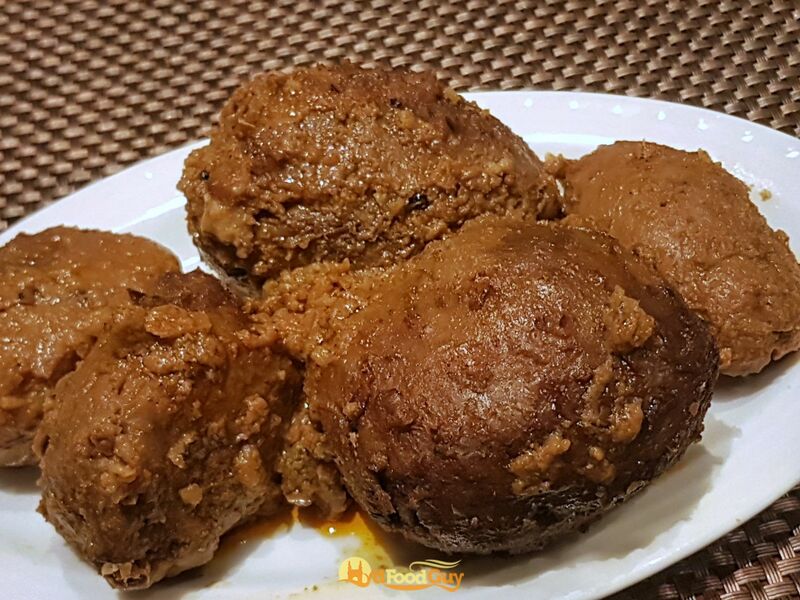 Chef Kaul’s husband, Mr. S J Kaul, explained that in a properly cooked Kashmiri Aloo Dum as you cut into a potato you should be able to observe the same colour on the inside as on the outside. While I’ve had some exposure to the Muslim cuisine, this was my first tryst with Pandit cuisine. Chef Kaul emphasized that what she presented to me was just a fraction of what the cuisine has to offer. However, just this one meal is sufficient to fathom why this cuisine is held in such high regard by almost everyone who has been fortunate enough to taste it. 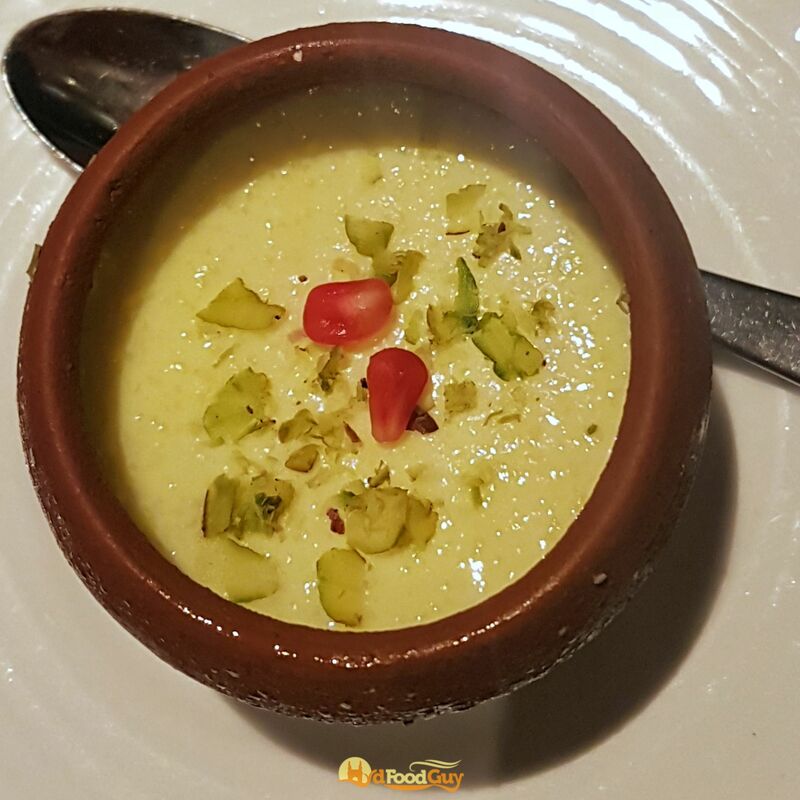 Chef Kaul is widely regarded as one of the foremost experts and proponents of Pandit cuisine and ‘Koshur Saal’ is both enjoyable and enlightening. The only off-note in the preview session were the breads. Kashmir has a whole host of distinctive, indigenous bread — I’m particularly fond of the sweetish, yeasty Khameeri Roti and puffy Bakarkhani. Hence, seeing the usual Naan and Roti was a bit of a disappointment. Koshur Saal will be running at Deccan Pavilion (7:30 PM onwards) until 29th July. Much like the Ladakhi festival held at Pavilion earlier this year, Chef Kaul’s pop-up stands out as distinctive, delicious, and memorable. It’s a rare opportunity to experience the beauty of a sophisticated and gracious cuisine.